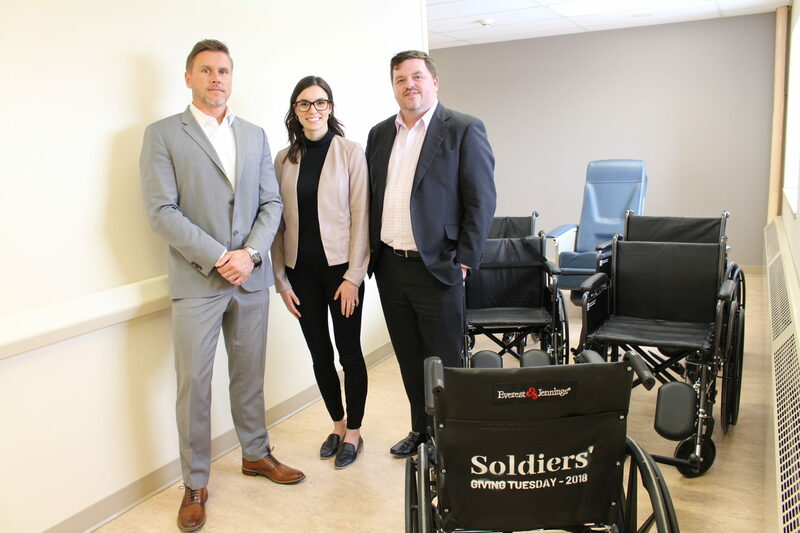 Thanks to the generosity of Royal Canadian Legion Branch 34, Orillia Soldiers’ Memorial Hospital will now have a brand new bladder scanner. 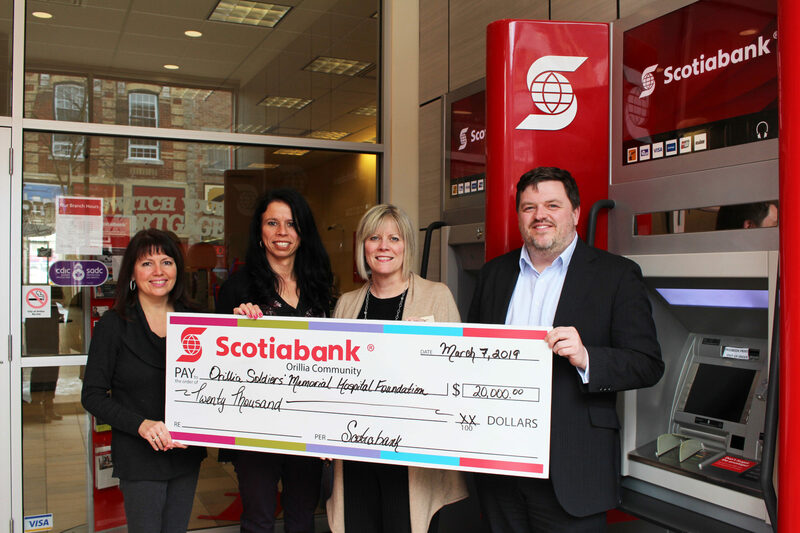 Through the Legion’s Poppy Fund, $17,735.61 was donated to the Hospital to purchase the new piece of equipment. The new bladder scanner is one of two that will be purchased to help primarily elderly patients who show signs of delirium, have bladder complications and more. 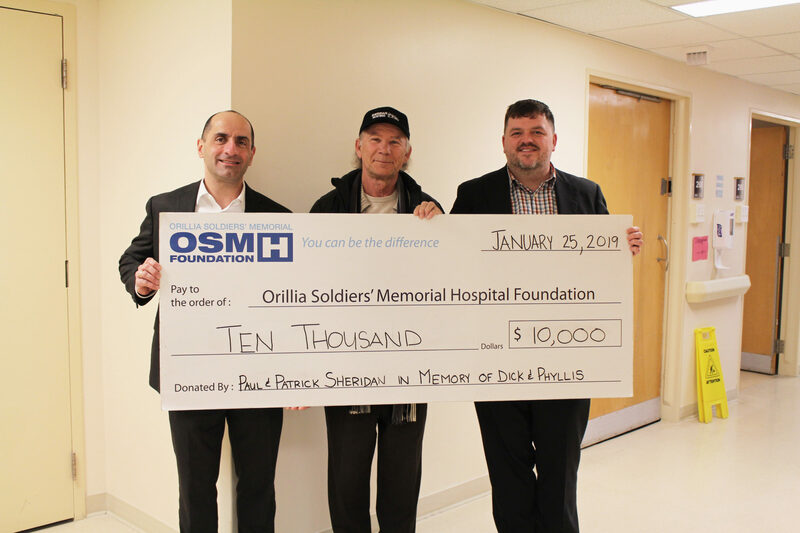 Seniors are three times more likely to be hospitalized than younger people, and last year alone, three out of every five inpatient beds at OSMH were used by the elderly. 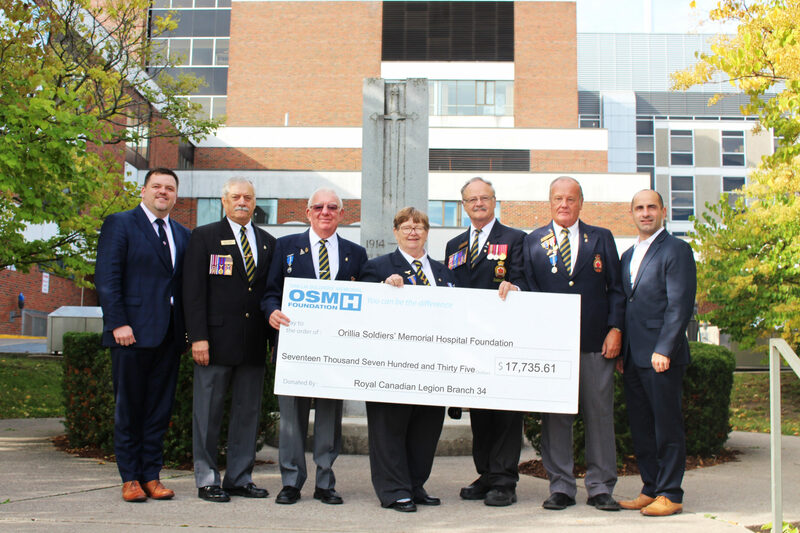 With this year’s donation, the Legion’s total lifetime giving is now over $145,000 to the Hospital, supporting a variety of needs including orthopaedics, dialysis and paediatrics. The Hospital currently has more than $25 Million in unmet capital needs, including the replacement of 28 defibrillators. If you would like to help secure these vital pieces of equipment, contact the Foundation office today at 705-325-6464 or found@osmh.on.ca.